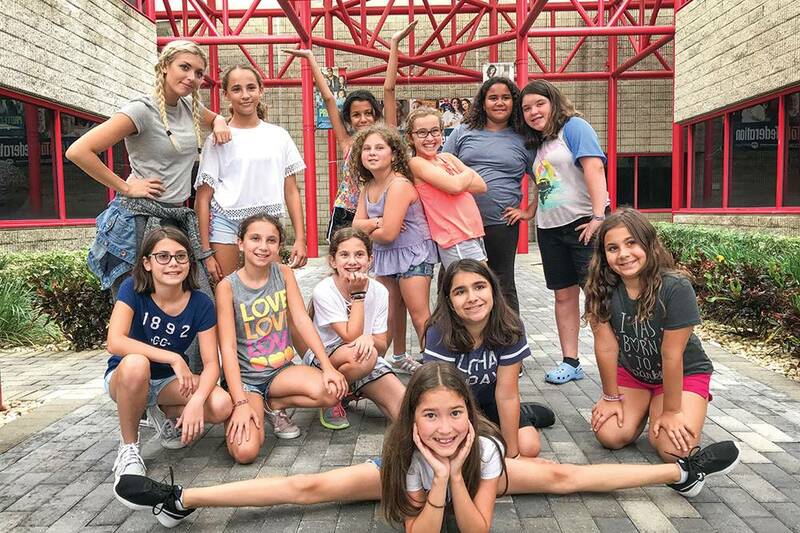 BRIEF CAMP DESCRIPTION: Every day is a new adventure at Levis JCC Marleen Forkas Camps – Camp at the J! Our J has been providing children of all ages with unforgettable summers since 1986. Our dedicated, caring team is committed to making the camp experience the best it can be for every child, every summer. Our schedules feature exciting activities for campers of all ages. Day and overnight trips throughout Florida are offered for our older campers, and weekly adventures for independent teens. We welcome campers from all backgrounds to join us. Come see what new adventures are in store for your campers this summer! As the premier day camp for campers with special needs in South Florida, we provide low staffing ratios (1:1 if needed) with highly credentialed and experienced staff so each child’s individual needs are met. We add new and innovative activities and field trips each year, and offer a myriad of inclusion opportunities on campus with the Levis JCC’s typical camp and off campus in community venues. training, community based field trips and more. We embrace campers with a wide range of disabilities, recognizing each child’s potential in all skill areas. Our goal is to provide a program that promotes each camper’s ability to achieve success. We take great pride in providing a high level of supervision from professionals and trained volunteers. Staff returns year after year, providing campers with continuity in programming and expertise. Dance, Theater, Musical Theater, Music/Band, Fine Arts/Crafts, Video/Filmmaking/Photography, Basketball, Football, Cheerleading, Soccer, Gymnastics, Swimming, Tennis, Waterfront/Aquatics, Volleyball, Martial Arts, Team Sports, Science, Technology, Academics, Travel, and more. CAMP LOCATION: Camp is held on a secure, gated 100 acre campus with 24 hour security. CAMP FACILITIES: Our campus features swimming pools, Marleen Forkas Splash Pad, tennis courts, athletic fields, archery range, trapeze, gymnasiums, playgrounds, science lab, ceramics studio, auditorium, theater stage and a three-level indoor play center. CAMP PROGRAM INFO: Camp at the J is all about kids having the freedom to learn and grow in an informal and nurturing setting while developing skills that prepare them for future success. Our camp culture is built on universally accepted moral ideals as well as strong Jewish values. We incorporate respect, honor, good sportsmanship and teamwork into all that we do. All staff members are thoroughly screened and trained to provide a safe, fun and memorable summer. A registered nurse is on the premises to provide care and medical attention if needed. Under direct supervision, teens will develop leadership skills through a hands-on experience engaging with campers, training from local professionals, and social programming to aid in networking with other Madatzim. The goals of this program are to prepare for teens for future work experiences, provide teens with training and skills to become effective leaders and role models, improve self-confidence, assist children in camp groups, and excel at handling responsibility resulting in a fun and productive summer. All this and a great resume builder too! Talented teens explore their creative side and also go behind the scenes to learn lighting and stage techniques, set design, direction, stage management and lighting plots. CAMP SCHOLARSHIPS OR FINANCIAL ASSISTANCE: Financial Assistance available. Families must demonstrate a qualified need and follow specific guidelines. For information, call 561-852-3267. YEAR-ROUND PROGRAMS: What to do when school is out? Come play at our J! Join us for Thanksgiving, Winter, and Spring Breaks, as well as Pre and Post Summer Camps and No-School Days. Our Camp [AT] the J program features fun filled on campus activities including swimming, sports, dance, crafts and more. Plus, off campus trips put the fun in field trips. School may be out, but FUN is in all day at the Levis JCC! Pre and post care available. Our weekly classes encompass playtime, developmental art, music and fine motor activities in our magical Baby & Me classroom. Instructional swim, sports, music, arts & crafts, entertainment, V.I.P. puppets, H2O zone, Marleen Forkas Splash Pad, yoga, Zumba, space station, Interactive Exploration Experience, Ooey Gooey sensory time. Basketball, soccer, flag football, fencing, archery and more, plus sports-themed field trips! Led by our trained, professional staff team of sports enthusiasts. final production both parents and camper-actors will be proud of! plus new and exciting ones we introduce every summer, in Florida and beyond. Campers also enjoy overnight and day trips to exciting attractions and on campus activities including sports, art, swim, trapeze, archery and more. Complete schedule, rates and options online at Our Camp Website Link: levisjcc.org. Go to The Best Florida Summer Camps Directory to Find More Top Summer Camps Near Boca Raton, Florida.